Two public meetings about a proposed drainage utility fee ordinance have been scheduled this week by the city. 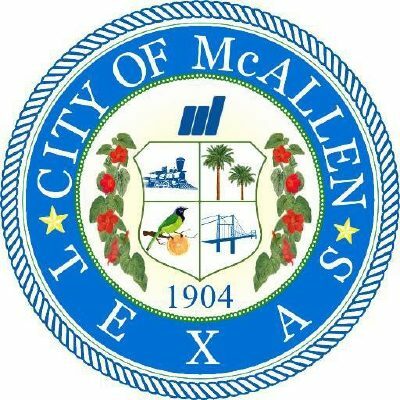 The city of McAllen’s engineering department will provide information and receive feedback on the ordinance, according to a news release. The proposed drainage utility fee would be used to create a funding source for drainage related improvements. The public meetings will be held on Monday at Lark Community Center, 2601 Lark Community Center and Tuesday at Palmview Community Center, 3401 Jordan Road. Both will begin at 6 p.m.
McAllen City Engineer Yvette Barrera and her staff will present information, outlining the details of the proposed drainage utility fee ordinance, including how the drainage fee will be calculated, as well as outlining which utility projects have been identified as priority in the Drainage Master Plan. Afterward, there will be a question and answer period and residents can also leave their comments on cards that will be made available to all who attend. The fee will be based on an equivalent residential unit, which is the average impervious cover for single family residential lots in the city of McAllen, according to the news release. The department considered the size of homes, as well as their patios, driveways and porches to develop the ERU. One ERU is equivalent to 2,700 square feet of impervious cover. Based on this formula, the proposed fee will be $1.50 per month. While some homes will be less – the proposed minimum to be charged will be $1 a month – the maximum includes a proposed charge of $75 per month for commercial property. The fee will be used to construct drainage improvement projects, including installing new structures, widening ditches, creating storm water detention facilities for those areas already identified as priority by the McAllen City Commission in the city’s Master Drainage Plan. The official public hearing will be during the McAllen City Commission meeting on Jan. 8, 2018, starting at 5 p.m. at the McAllen City Commission Chambers at City Hall, 1300 W. Houston Ave.